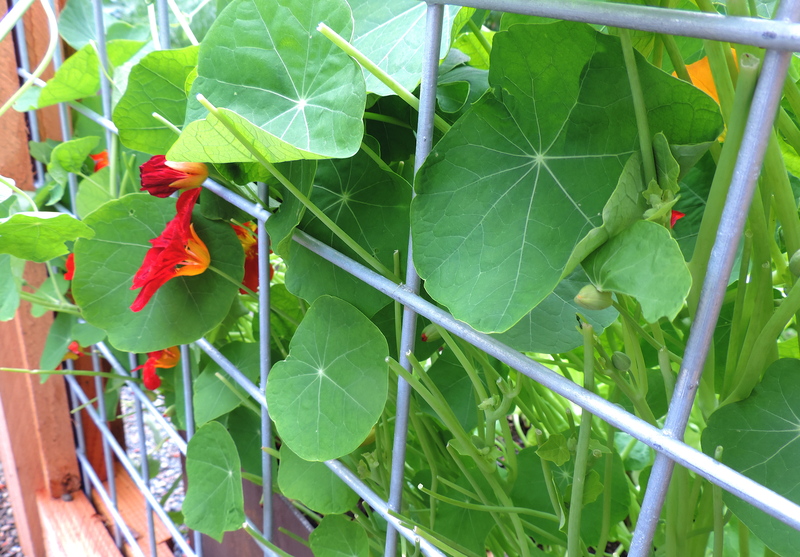 I am gifting Nasturtiums to my deer. I figure it is a good way to keep us all happy. The plants are running rampant all over the lettuce in the garden anyway, so I’m pushing the vines through the fence for them. The deer seem content to nibble away the leaves and ignore the flowers, which I love. Is this what they mean by deer control? I looked up Nasturtium in The Meaning of Flowers and found it means “a twist of the nose.” I’m not quite sure whose nose is twisting here but I’m glad they found my gift. 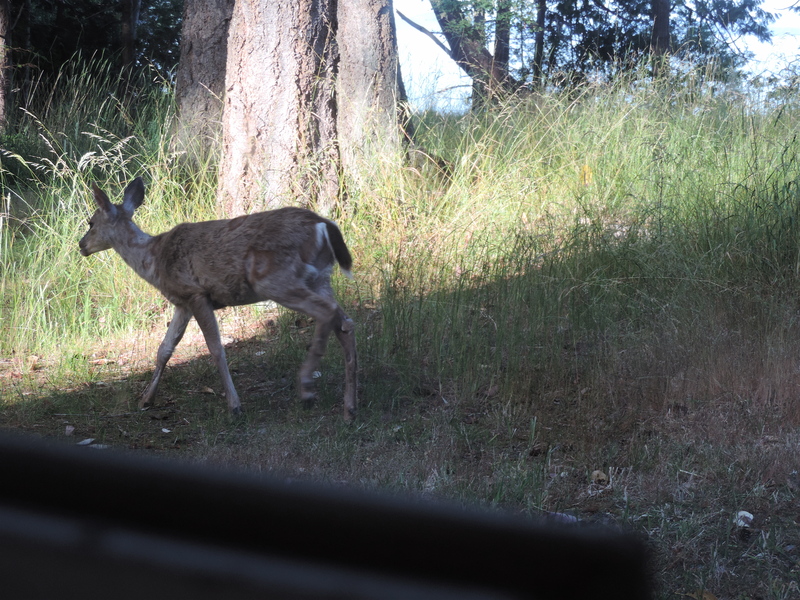 Yesterday morning I woke to see a family of three outside my window. They were heading down from the garden after their light breakfast. Enjoy! Antsy. I wonder where that word comes from because after watching these ants, I don’t see any fidgety-ness here. 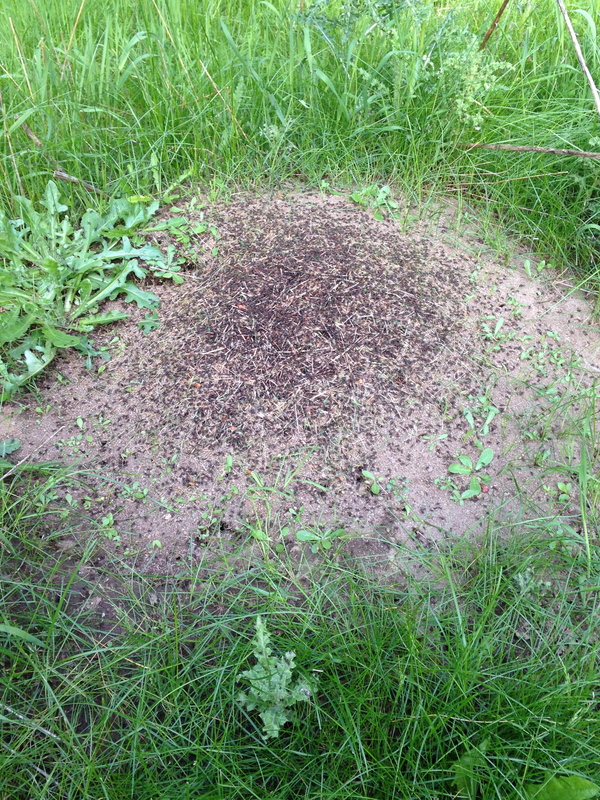 Ants don’t seem antsy at all, in fact they seem highly motivated and organized. I see determination and a really strong work ethic. 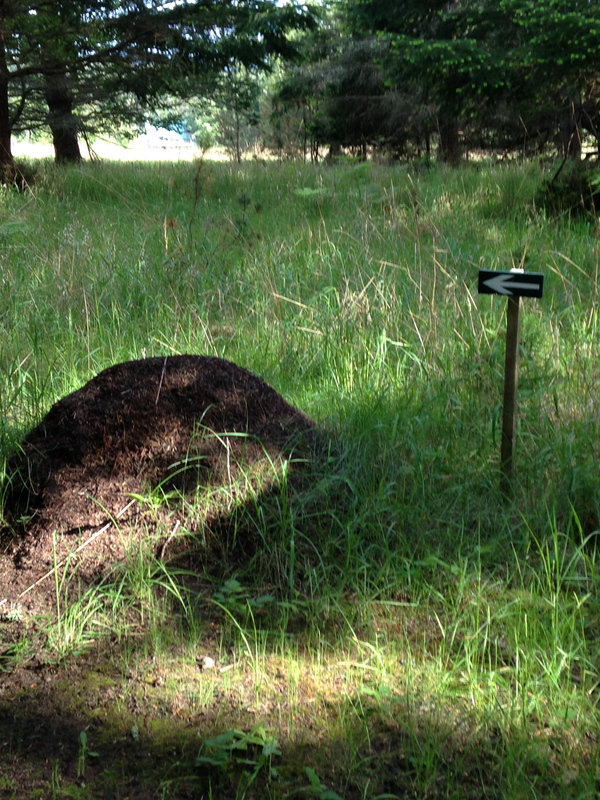 A few weeks ago, we found a few of these Thatching Ant mounds on a hike across the island. 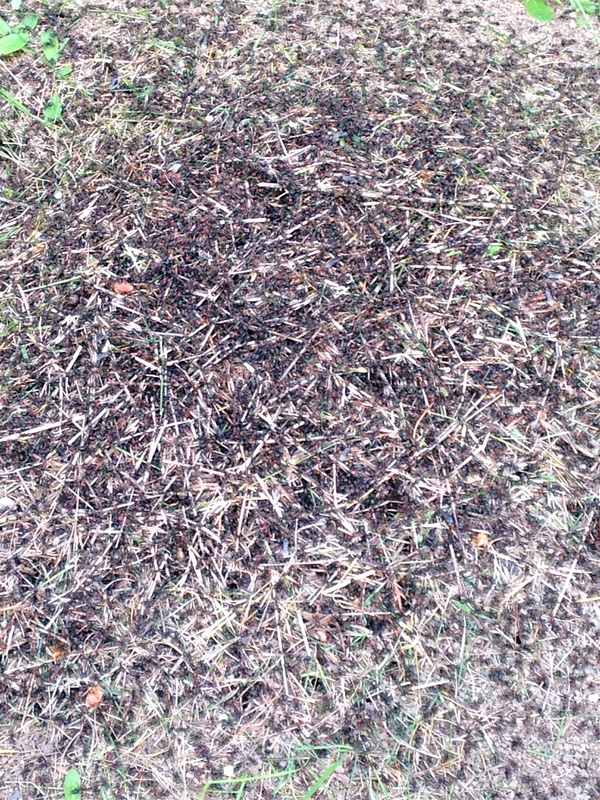 You could see the mounds vibrating and hear the thousands of ants as they were building these things with pine needles. Not to mention the super highway they made to get to the mounds. This is impressive work. I did not want to stick around in one spot too long to watch or photograph as I didn’t think I needed ants in my pants, as they say. I did learn one other important thing. There is such a thing as a piss ant and it isn’t just a name I used to love to hear my mother-in-law say. (Not about me, of course.) 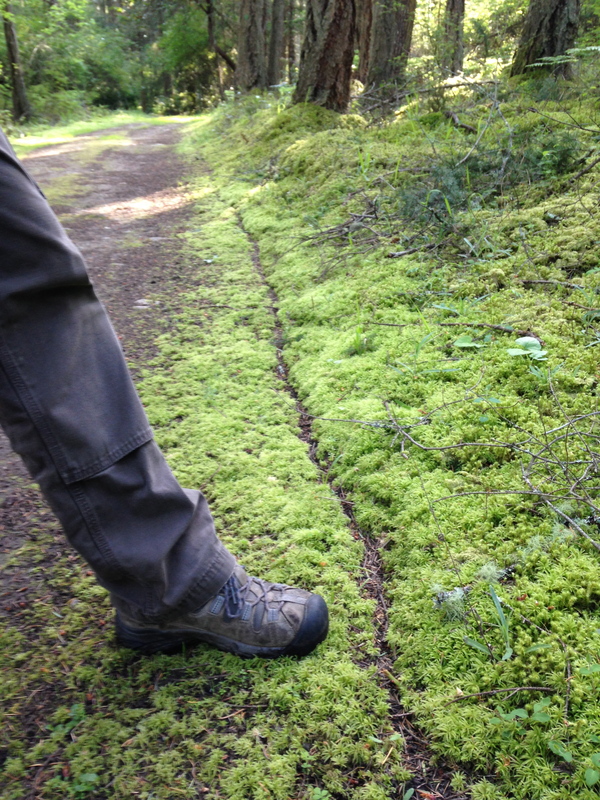 Some ants produce an odor from their nesting material and are called pissants. I was looking at a whole lot of piss ants but they certainly didn’t look insignificant to me. 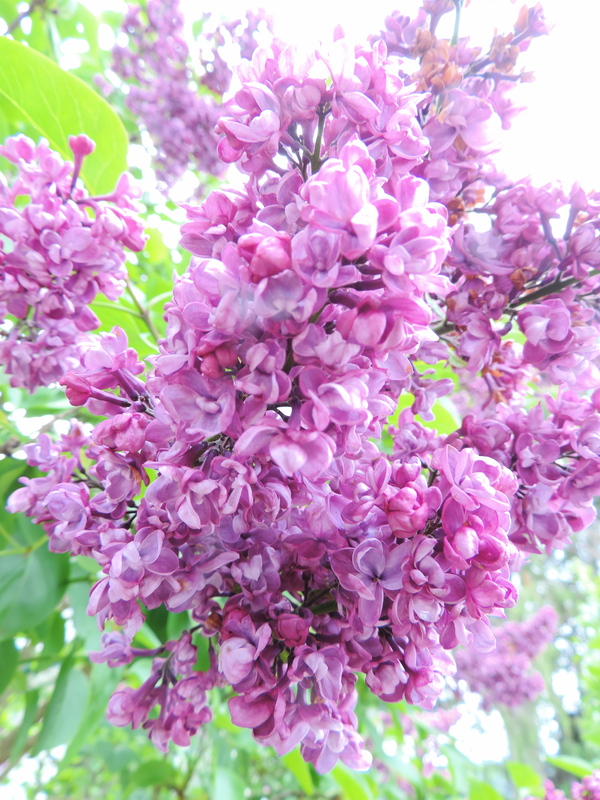 When I see these flowers coming into bloom each year, I always feel a little homesick for Michigan. It’s always the peonies, iris, lilacs and lily-of-the valley. 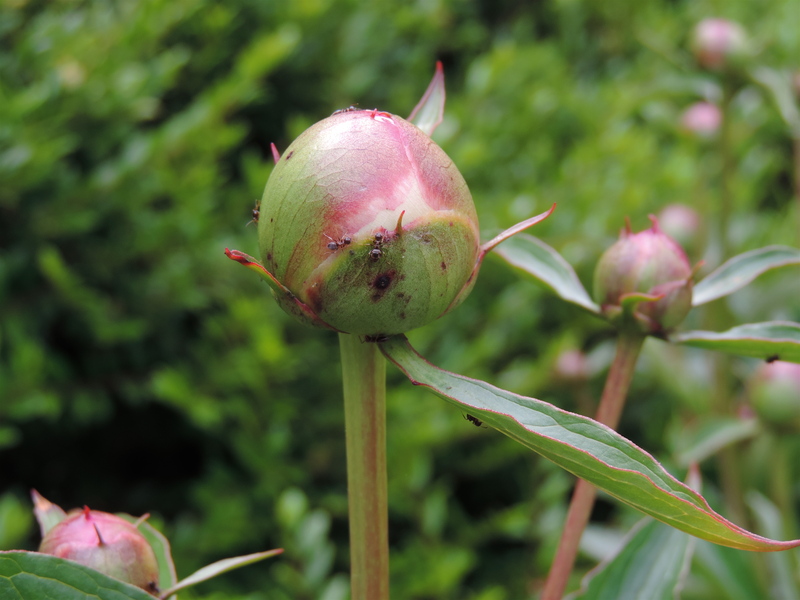 Growing up, I remember watching them and waiting for the first buds to appear, the first hint of color. I’m not sure why it is that these flowers are so memory-stirring for me, but they hit me every time. Right now, everything on our island is growing like crazy. Everywhere is green. I do love green but lately I have noticed that I miss seeing the other colors. I’m not sure if my feeling of color deficiency comes from a nostalgia for past gardens I’ve created, or the urge to design a new one, but there it is. And I’m not interested in any of those fussy, manicured, fenced-in gardens that the deer can’t gobble up. I’d love to dream up a “swaths of color” landscape along the lines of Piet Oudolf. Maybe I will. 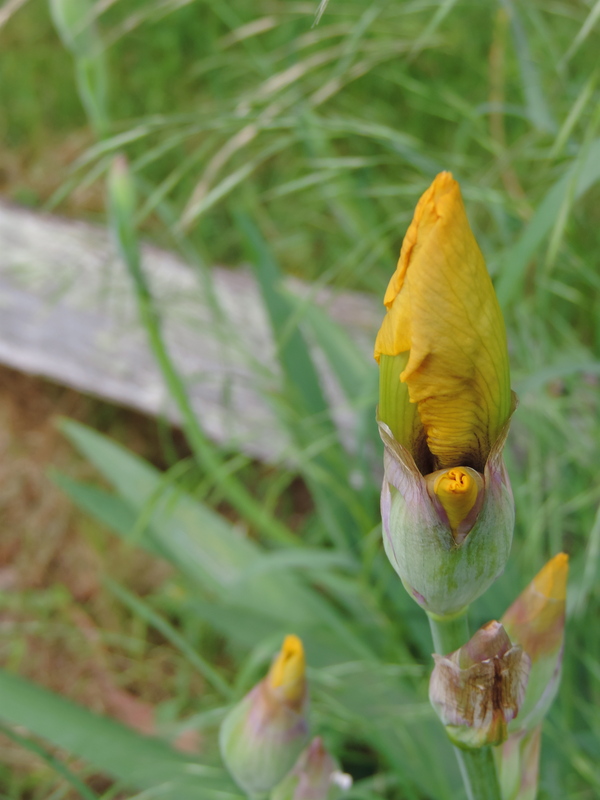 Do the deer eat iris?